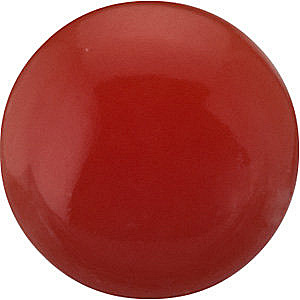 Genuine Red Coral Oval Cabochon Gems in Grade AAA This Natural Red Coral Gemstone in the AAA Grade, Displays a Glamorous Medium to Dark Orangey Red Color, With a Good Cut, Good Polish and Good Shape. 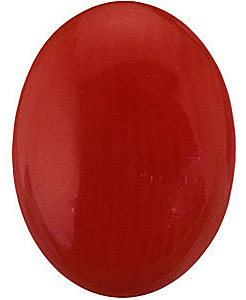 This Coral Gemstone Has Not Undergone Any Treatment. 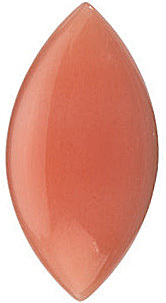 The subtle hues of Coral bring a glow to the complexion of the woman who wears it. Coral�s flattering warmth has year-round fashion appeal. 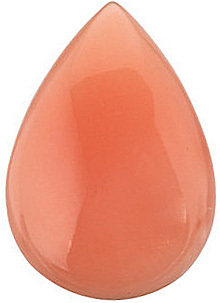 Pink Coral, often referred to as �Angel Skin,� offers a glamorous and graceful look by itself or in combination with other gems. Coral�s classic nature makes it a popular choice for retro and vintage fashions. Compliment feminine fashions with a coral pendant, or offset business attire with a brilliant coral brooch or ring. With proper care, your Coral will remain a stylish piece to treasure for generations. Coral, the gift of the sea, was one of the first gems used for adornment. Designs in Coral date back to prehistoric times, proof of its mystic allure. Among its many powers, this organic gem was believed to protect against danger, cure madness and bring wisdom. 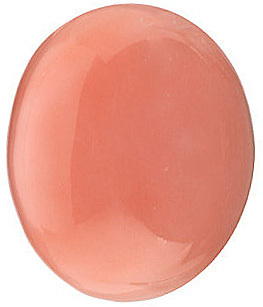 Coral is a very soft gemstone, with a hardness of 3.5-4 on the Moh�s hardness rating. Therefore you should save your jewelry for special occasions, as it is not suitable for everyday wear. Compliment feminine fashions with a coral pendant, or offset business attire with a brilliant coral brooch or ring. With proper care, your Coral will remain a stylish piece to treasure for generations. 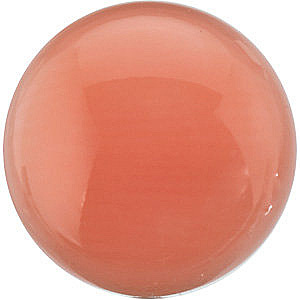 AfricaGems carries a wide array of loose Coral gemstones that were mined in Australia, Ireland, Japan, Malaysia, Mediterranean Sea, Philippines, and Taiwan. With a number of cuts and calibrated sizes to choose from, your dream coral masterpiece is easy to find. All inventory is in stock and ready to ship today.